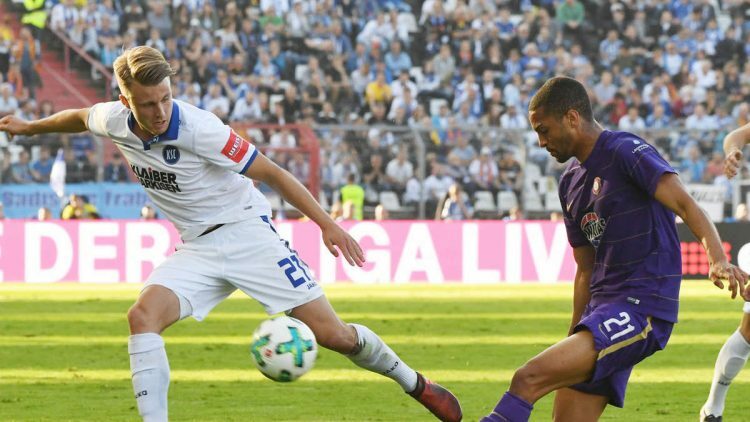 Erzgebirge Aue and Karlsruher will meet on Tuesday, May 22, at 19.15, in a barrage confrontation for a place in the second German football league, in the “Erzgebirgsstadion” arena (capacity of 16,500 seats). In the tournament, played a few days ago, the score was 0-0. Aue has ranked 16th in the second league, which is why he has played this barrage for not retrograding. With just 35 goals scored in 34 matches, Aue had the weakest line of attack in the championship. In each of the last 3 matches Aue scored below 2.5 goals (including the tour of the dam). Karlsruher, a formation in Germany, ranked third in the third division and now wants to climb a higher level. Although he finished the podium championship, Karlsruher had only the 12th most fruitful attack, with just 49 goals scored (the first two in the championship had 90 respectively 70 goals scored). Instead, Karlsruher boasts the best defensive play in the league, with just 29 goals in 38 rounds (an average of 0.7 goals per game). The tournament between Aue and Karlsruher was a poor one on goal occasions and goal kicks (5 in the game). In fact, in the last five direct matches between the two, only 8 goals scored (1.6 on average). Of these 8 goals, 7 were scored after the first half-hour of play. For these reasons, I will bet that the first goal of the Tuesday meeting will be marked after the 28th minute.